Few games in this era have had the cojones to challenge gamers in the manner that the Souls series has dared to, and fewer still have allowed players to have so much freedom to build and define their narrative within a gaming world. Who is your character? You decide. What are his/her goals? That’s up to you. Who will live, and who will die among the supporting characters? The choice is yours. There is no hand-holding in the Souls series, and if players aren’t careful, they can render the game almost unplayably difficult through poor decision-making. Killed the blacksmith? No more repairing or upgrading your weapons. Took down the item manager? Good luck finding a place to organize your inventory. 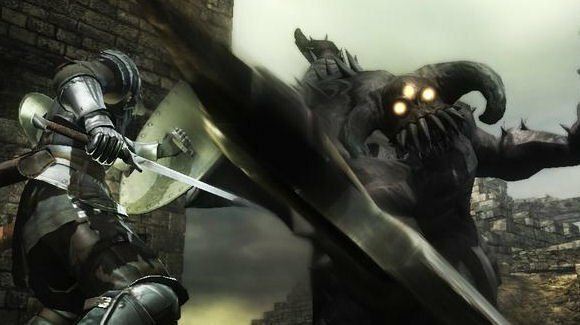 It’s all part of what makes Demon’s Souls such a challenging and powerful experience. You will meet many NPCs along your journey, and who you choose to believe or follow will have a significant effect on how you view the story as you piece it together. There will be those who wish to mislead, betray, manipulate, or even kill you at any given moment, and these are among the only voices you will have to tell your tale. The experience of the game is very much a shock in this regard. The player is told almost nothing before being introduced to this world, and with no exposition or cut scenes to aid him or her, the player is forced to decide for themselves what the truth is if any can be found at all, to these events. To this end, the player will be put in some pretty difficult positions. Should you murder one character at the behest of another, you might find the effects of that decision prevent you from learning a new spell, or gaining a valuable item. Conversely, if you turn down such a quest, you give up the possible reward and experience that would come from completing it. Just another of the many jolly fellows you’ll find milling about in this wretched world. Choices like these make for a very satisfying storytelling experience, one only further tempered by the addition of a New Game + feature, and online connectivity that allows players to help or mislead one another by leaving messages on the ground. Morally, things couldn’t be greyer. If a character asks to be killed, is it just to murder them? On the other hand, a character who barters for their life may come back to haunt you for sparing them. Fancy a game where one of the end bosses is a savior to the damned who spends the entire battle begging you to stop and puts up almost no defense? 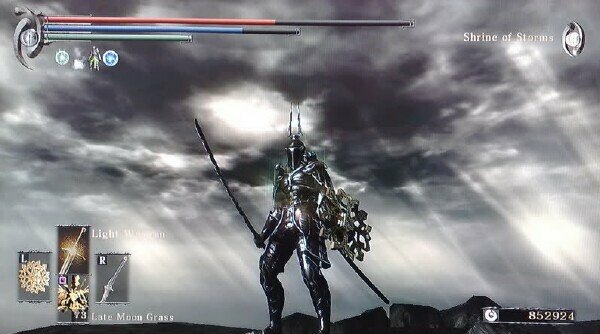 These are the kinds of experiences you must endure in the world of Demon’s Souls. It is not a story that you would call fun by any means. It is, however, as unique as it is rewarding.